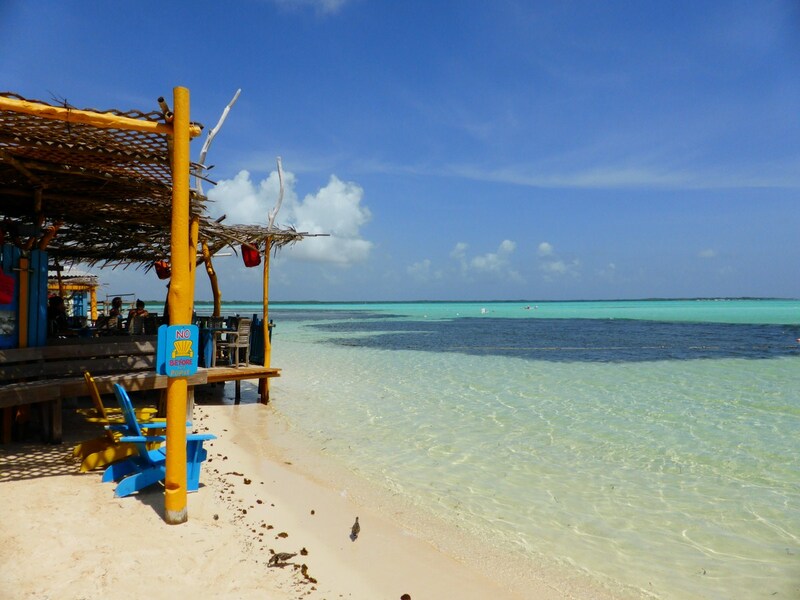 My love for Jibe City and it’s Hang Out Beach Bar, located in Bonaire, is no secret. I’ve often referred to it as my ideal beach bar, a model for what I envision my future beach bar to resemble. Jibe City, which describes itself on its website as “a relaxed and laid back windsurf centre,” is located on the east coast of the island, home to steady trade winds that make it a wind surfer’s paradise. Someone figured out that if people are going to sit there all day and watch wind surfers, why not put up a beach bar? It’s a brilliant idea, giving patrons of its beach bar built in entertainment at no cost besides what they order from the bar. The above video offers a short tour of Jibe City’s beachfront bar, further cementing my opinion of it as my ideal beach bar. You can’t get much closer to the too-clear-to-be-real water and the bar’s walls and furniture, which appear to be made from materials seemingly transported to the nearby beach via the same trade winds that propel the windsurfers, add to the throwback classic Caribbean vibe that often envelops the region’s best beach bars.